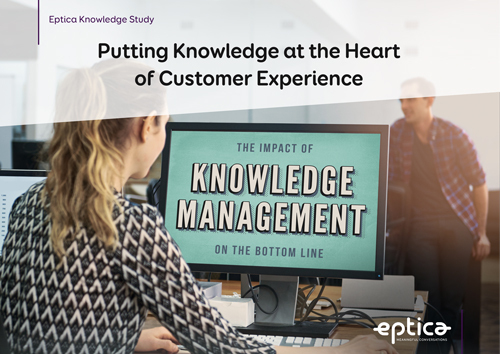 Putting knowledge at the heart of customer experience | Eptica - Multi Channel Customer Interaction Software. Email Management. Web Self-service. Live Chat and Agent Knowledgebase. Knowledge is central to delivering the engaging customer experience that today’s consumers demand. For example, 84% of consumers say they’ll switch to a rival if they cannot find the answer to their query online, potentially leading to millions in lost revenue. Where are organisations going wrong and how can they implement a knowledge strategy that meets customer expectations? This guide aims to provide some answers. As well as analysis of our consumer research, it also provides best practice recommendations to help organisations transform how they use knowledge across their business.